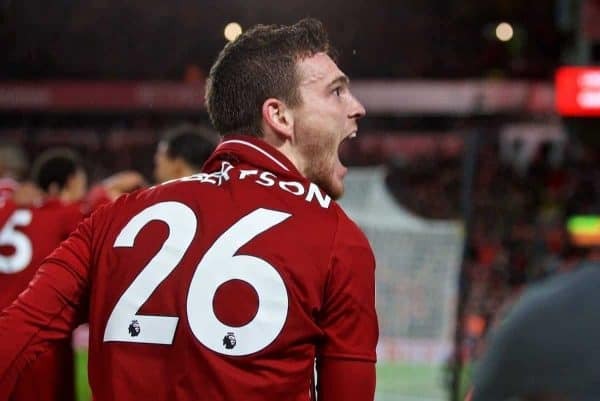 Robertson has signed an improved deal that will keep him on Merseyside until at least 2024, following the likes of Roberto Firmino, Sadio Mane, Mohamed Salah and Joe Gomez in committing their future to the club. New signings such as Alisson and Virgil van Dijk are also poised to remain with Liverpool for the long term, while Trent Alexander-Arnold is believed to be next in line for an extension. 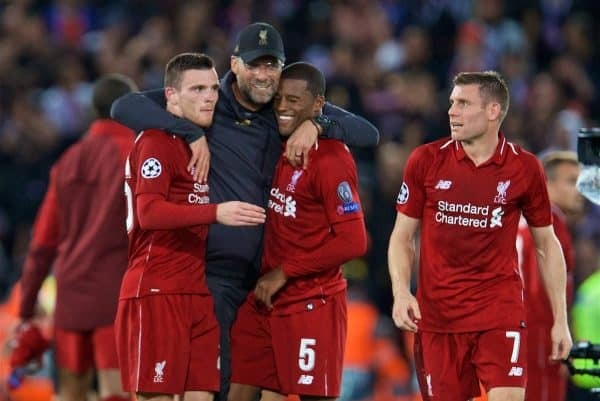 Reflecting on the news of Robertson’s contract, Klopp told reporters at Melwood on Friday that it was a reward for both his quality on the pitch and his character off it. “I’m very happy about it, that’s really cool,” he said. “Especially with the very special story of Robbo, I still love it, and the improvement and development of him is outstanding. “Nobody could imagine that exactly. We were all hoping it would be like this, but could we expect it? I don’t think so. “That’s brilliant, and it’s nice to have this boy around. He’s not only a fantastic player, but an even better person. “I improve my Scottish a little bit with him, which helps with all conversations with Kenny Dalglish! It’s still ‘different’ with Kenny, the language he’s speaking. “In general, it’s a very good sign, an opportunity to extend contracts early. “This team, if we can keep these boys together, there’s a really good age group, in the middle of development. That’s really good news for Liverpool. “These 17, 18, 19 players, plus the really young boys, that’s the squad of the future. It should be like this. 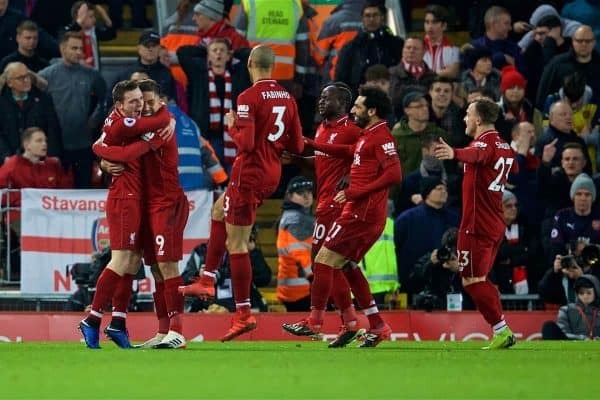 Liverpool take on Crystal Palace on Saturday looking to extend their lead at the top of the Premier League to seven points, in a fixture which produced their last league defeat at Anfield. 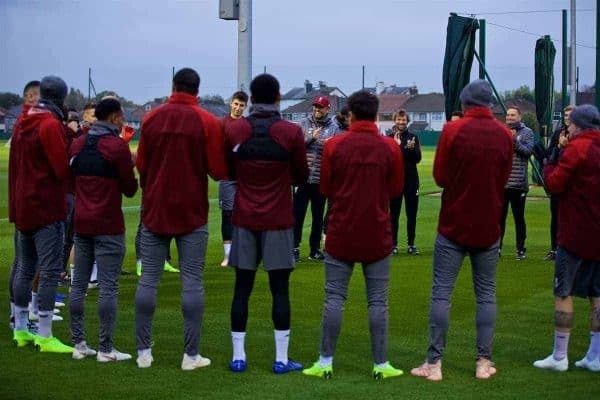 The side that lost to the Eagles back in 2017 is a far cry from that which will line up this weekend, but Klopp explained that he has no interest in comparisons—only the future. “Always making the next steps is absolutely interesting,” he continued. “Is it always possible? I’m not sure. But we will still try it. “Where we will be in two or three years, I have no idea, but so far it’s like how I said with these players all signing long-term contracts. “It’s good, because the age group is good. This season will not finish our development, that’s good. “It doesn’t look like we’ll lose any key players, they all look like they are really here with all they have. “Enjoying it here, with the other boys, in the stadium, at the training ground. “That’s another thing, we build a new training ground—not that we don’t like Melwood, actually we love Melwood. But that’s another step in the future. “That’s all good, but the progress we make so far, I’m really not interested in.